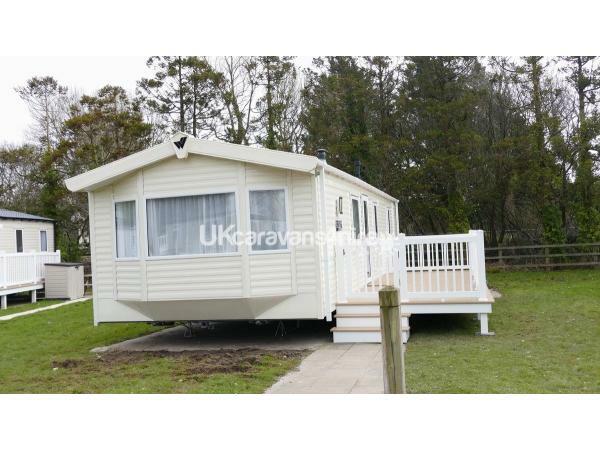 Immaculate Family Owned Prestige Rated Caravan for hire on Haven Hafan y Mor Holiday Park, Pwllheli, North Wales. 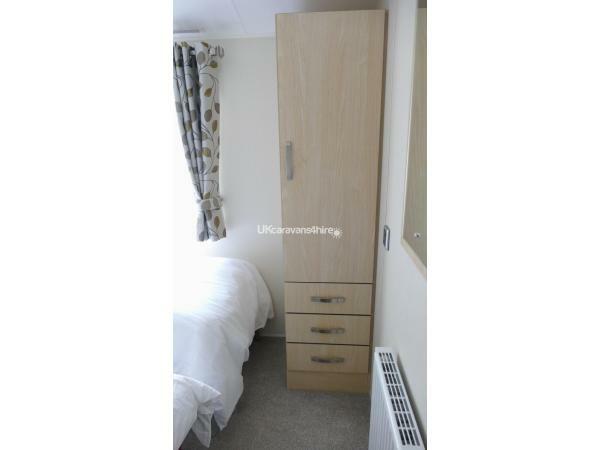 Double Glazed & Full Central Heating, With Decking 8ft x 24ft, 2 Bedrooms sleeps 6. Checkin is 2pm and check out is 10am. Passes are not included but can be bought from reception. We ask for a non-refundable deposit of £50-£100 depending on duration taken. Balance required 6 weeks before arrival date together with a £100 refundable breakage bond, returnable within 7 days of leaving provided caravan is left clean, tidy and no damages. If booking is less than 4 weeks before arrival full payment is required. Bank Transfer accepted. Tea towels, iron & ironing board. Hi Sharon & Paul, thank you for your lovely feedback and kind words, I am so pleased you had a lovely stay, thank you so much for leaving the caravan lovely, it is really appreciated. Had a lovely short break in this caravan. The location was fantastic especially having 2 young children short walk to all facilities. The caravan location was also very peaceful and the children enjoyed the daily visits from ducks and robins. The decking area was fantastic especially in the nice sunshine we had over the weekend and Inside the caravan was immaculate. Would happily return for another holiday. Thank you Rob, so pleased you and your family had a lovely stay, thank you for taking the time to write a review. Thank you Jane, it was a lovely surprise when you re booked the second time, thank you again for your kind words. 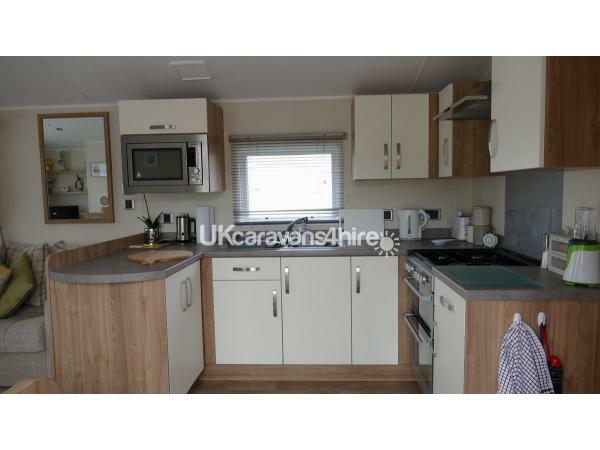 Lovely caravan Dianne was great really helpful and everything you could possibly need. Thanks again ???? Thank you Emma for taking the time to write a review, so glad you had a lovely time and enjoyed your stay. Lovely clean caravan in one of the best locations in the park. Very well laid out inside and all we needed was provided. We were travelling with our toddler and the toilet seat adapter and bed side were a very welcome surprise! Communication from the owners was brilliant, and deposit refunded very quickly after our stay. All in all - One of the best caravans we have stayed in on Hafan y Môr. Thanks. Thank you David, so glad you had a lovely stay. Stayed over the weekend with my son a friend and her two boys. We all thoroughly enjoyed our stay in the beautifully presented caravan, which is like home from home. 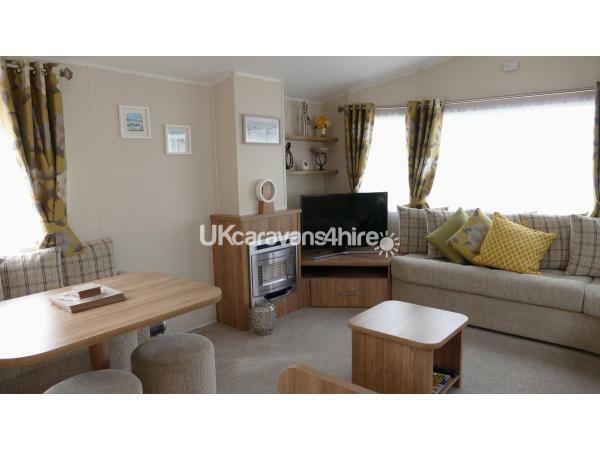 The caravan is ideally situated near to amenities to allow all 3 boys to access the swimming pool, arcades and shops on their own when the weather permitted. The weather wasn’t the best, but the caravan had everything we needed to ensure our stay was comfortable. Di has thought about everything you might possibly need for a family holiday including packs of cards and plenty of DVD’s if the weather doesn’t play nice. I would definitely recommend this caravan and camp site to anybody wanting to enjoy a break away. We have just returned from a fabulous 4 night stay. 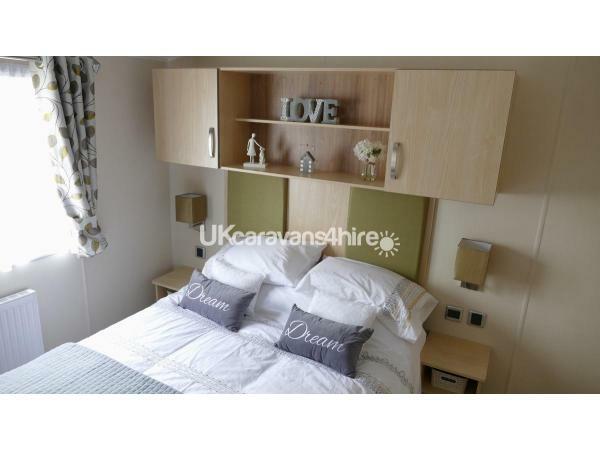 The caravan was beautifully presented, very tastefully furnished and absolutely spotless. Diane has thought of everything to make your stay as easy as possible which was really appreciated! The outside decking area and modern seating area was great for eating outside on sunny days. Having access to Netflix was a very welcome surprise and a godsend with 4 very young children to entertain early in the morning! The selection of children’s dvds there was great too. 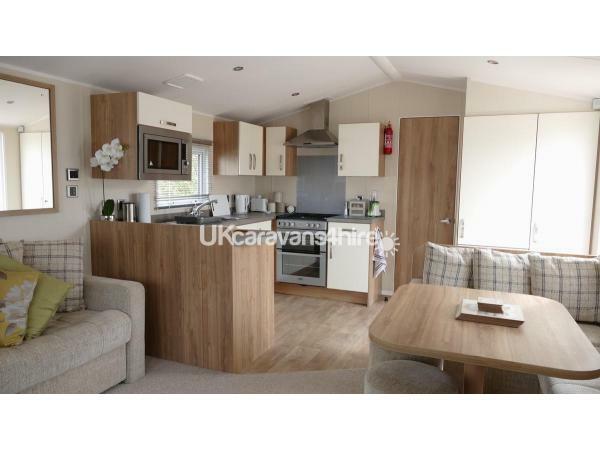 The caravan is in a fantastic location as it so close to all of the main amenities which was just perfect for tired little legs at the end of a long day. Diane’s communication from the ofset was wonderful and nothing was too much trouble for her. I would highly recommend this caravan and would definitely stay here again. Thank you so much for your lovely words, so glad you had a lovely stay. Thank you for leaving the caravan lovely too, really appreciated. 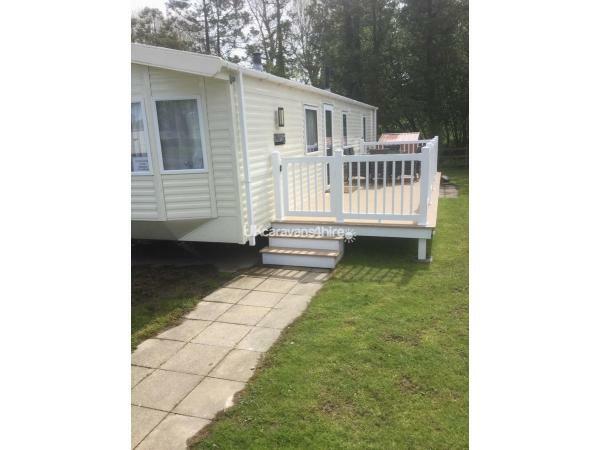 We have just returned from a very enjoyable stay in this caravan, which is ideally located in a quiet plot on the site only a short walk to all the entertainment facilities. From the point of booking, the customer service we received from Diane was excellent. 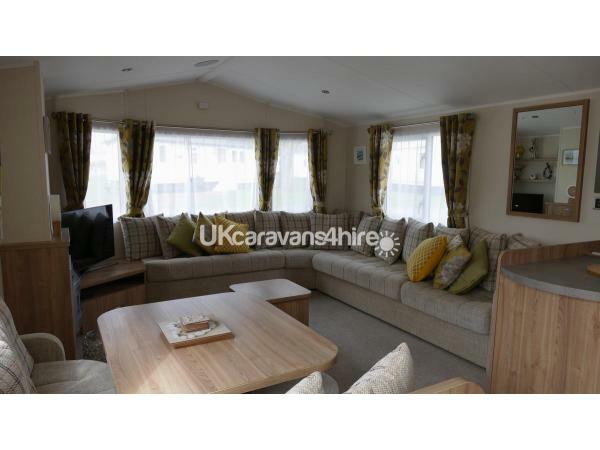 On arrival, we found the caravan to be spotless, spacious modern and with every home comfort. We were pleasantly surprised to find an ensuite to the main bathroom which I'm not sure is listed in the description above. Diane has thought of everything from washing up and cleaning items to various condiments and even a needle and thread. Two hoovers, an ironing board and even a picnic basket were provided. My daughter and her friend were also particularly pleased to have access to Netflix during our stay as the weather let us down on a couple of evenings. We found everything in the caravan easy to use, including the central heating which was lovely and warm for drying wet clothes and towels. When the sun was shining, the modern outdoor furniture was most welcome as the decking area is a real sun-trap. We would highly recommend this caravan. Thank you again Diane. Thank you for your lovely feedback Andrea, so glad you had a lovely stay in our caravan, Hope you will come again, you left the caravan lovely, we really appreciated that. Thank you for your lovely review, so pleased you had a lovely stay. 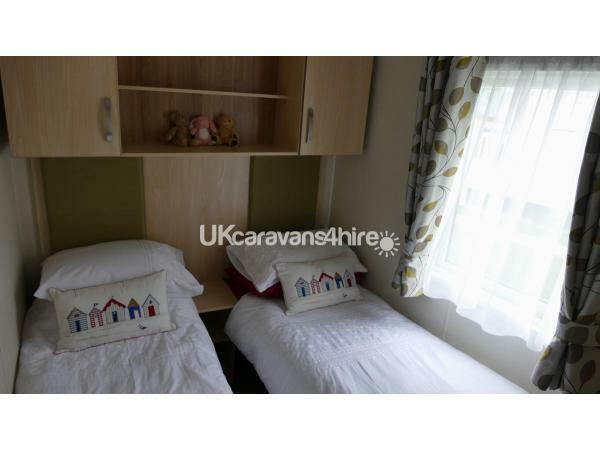 Beautiful caravan, lovely & clean & all the facilities/utensils that you need. 6 of us stayed, plenty of space. It’s in a perfectly located quiet spot, & still close to the amenities. Luckily the weather was fabulous & therefore we really enjoyed the decking area. I would highly recommend booking. Thank you Phyllis for your kind words, you left the caravan lovely, really appreciated that, so glad you all had a lovely holiday. 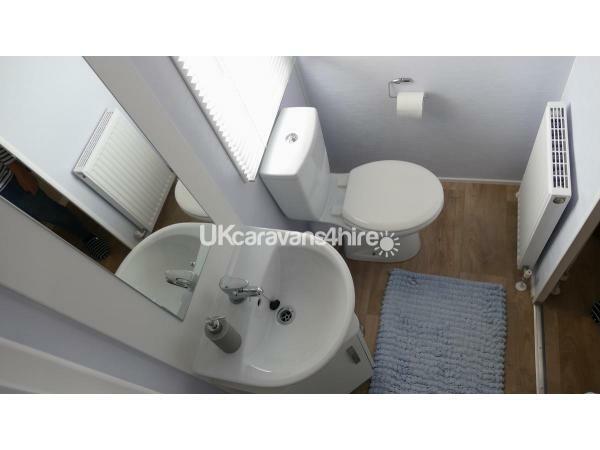 The caravan was brilliant for the 2 of us and our 8 month old daughter, plenty of space, very clean, had everything we needed. Gorgeous patio area which we used a lot on the sunny days. Great location with lots of places not too far to visit. The grounds have a lot of facilities for kids to keep them active and busy, cannot fault it. We felt very comfortable and would definitely recommend to family and friends. Looking forward to another break here. Enjoyed a fabulous family holiday. Spacious comfortable accommodation with everything you need. 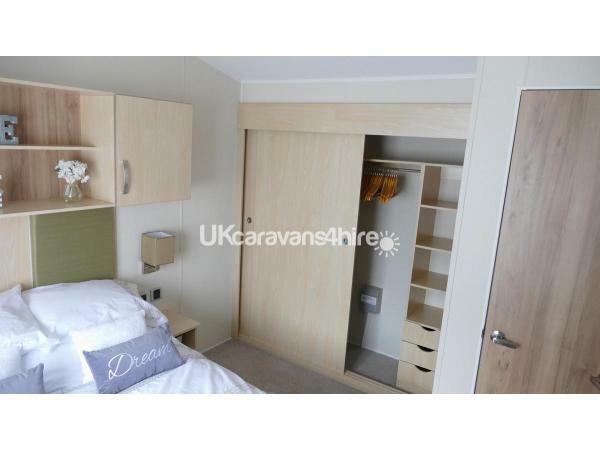 Perfect location for north Wales, Snowdonia area. Plenty to do on the park itself great area for long walks and sea views. Will definitely rebook in the future.